A former immunology expert and laboratory director at the University of Pittsburgh alleges she was fired after blowing the whistle on safety violations at the university, including an incident when a laboratory monkey infected with a “select agent” escaped its cage, the Penn Record reported. Cole’s suit says she questioned the university’s Biological Safety Officer, Dr. Molly Stitt-Fischer, about the incident and its outcome. Stitt-Fischer told Cole the event was not a safety violation, but an “accident,” the suit says. As it was deemed such, [the person allegedly responsible for the accident] would not lose her access to the facility, the suit says. As Stitt-Fischer’s account differed from what the student initially told her, Cole took it upon herself to review the university’s report of the incident and found what she called a “notable error” in the report – namely, that the infected laboratory monkey had only escaped its cage for a short time, when it had actually escaped for several hours, the suit says. Cole alleges she was told not to report the incident to federal authorities, and that she later learned a second incident involving a laboratory rabbit yet again infected with a “select agent” had similarly gone unreported. According to the Record, she also says the university subsequently began hitting her with minor infractions of rules like “improper sign-in procedures for the laboratories, improper laboratory attire and a paperwork discrepancy connected to various shipments of vials,” violations her colleagues were allegedly equally guilty of but not disciplined for, until she was eventually fired. A select agent refers to varieties of biological agents that the Department of Health and Human Services or the United States Department of Agriculture believe could potentially “pose a severe threat to public health and safety”—a list that includes some pretty heavy hitters like hemorrhagic fevers and the plague, as well as diseases that can devastate livestock or plants. In other words, all of it’s pretty bad stuff, though the Penn Record report doesn’t shed any light on exactly which agent it was or the circumstances of the supposed lab breakouts. Before you start buying face masks and stockpiling canned food, there’s also the possibility there’s more to this story than let on by one side of the lawsuit. In 2017, federal authorities completed a review of the University of Pittsburgh’s laboratory facilities after People for the Ethical Treatment of Animals alleged widespread abuse of animals housed there, per the Pittsburgh Tribune-Review. USDA Animal and Plant Health Inspection Service investigators deemed the accusations unfounded. 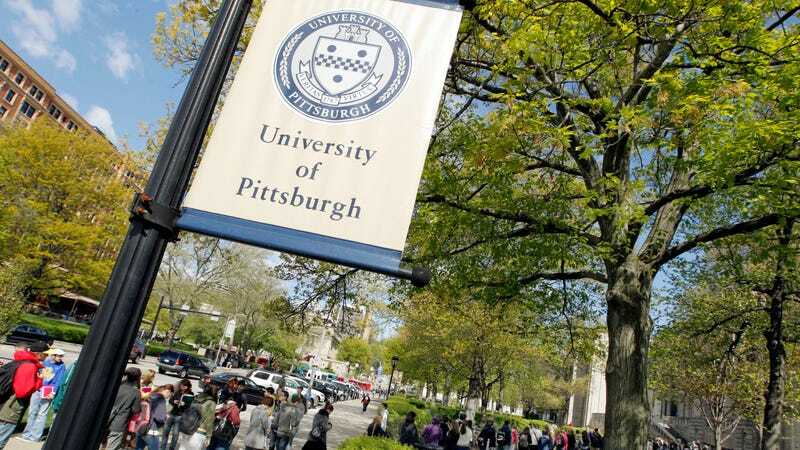 Gizmodo has reached out to the University of Pittsburgh for comment, and we’ll update this post if we hear back.